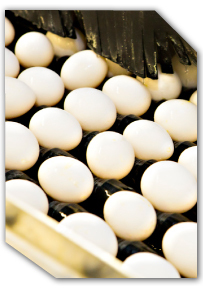 Centrum Valley Farms is committed to providing families in Iowa and across the nation with the highest-quality eggs. This is achieved through firm attention to food safety, and an equal dedication to ensuring the well-being of our flocks and the protection of the land, air and water resources around our farms. 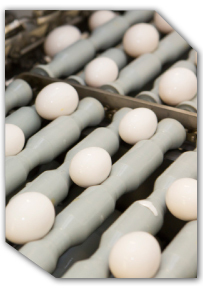 Our first responsibility as egg farmers is to ensure the health and well-being of our hens. 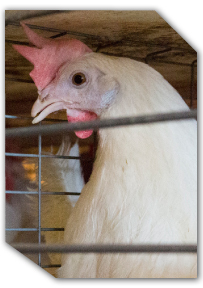 In order to produce quality eggs, our hens must be healthy and safe, and protected from predators and disease. Our farms provide safe, comfortable barns for the birds. Our hens have continuous access to fresh food and water. Our birds are monitored on a daily basis and when needed, we consult with a veterinarian for specific medical concerns. Centrum Valley consistently strives to go above and beyond, which is why we participate in the United Egg Producers Certified Animal Welfare program. The standards are the strictest in the industry and are part of our farm's commitment to providing our customers with the safest, best-quality eggs available. For more information on this program, visit www.uepcertified.com. Continually looking to the future, Centrum Valley Farms regularly examines advances in technology that may benefit our farm and enhance protection of the land, air and water around us. We have an ethical obligation to leave the land to future generations in better shape than it is today. Centrum Valley achieves this by putting in place manure management systems, working with local soil and water conservation agencies, and composting and recycling whenever possible. Our farms are in communities where our families and our employees live, work and play. That is why it is our shared responsibility to consider all available environmental programs and systems as part of our farm's overall environmental plan. Centrum Valley Farms is an innovator in food safety, consistently going above and beyond to exceed our customers' expectations. Ensuring excellent care of our animals, protecting the environment, and providing safe, high-quality eggs to our customers are our top priorities. However, it takes more than responsible business practices to be a good corporate citizen. Of equal importance is maintaining good neighbor relations and giving back to our local community. Our families place a high value on community engagement, and we work every day to instill those values in our employees. We play an ongoing and integral role in local outreach programs in our community. Farm managers and company leaders participate regularly on boards, as volunteers, in church and working in youth sports.